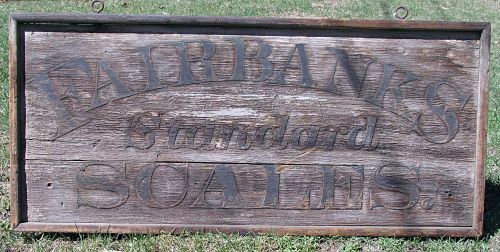 Wooden Fairbanks Standard Scales Trade sign with wonderful weathered surface from years of being exposed to New England weather. 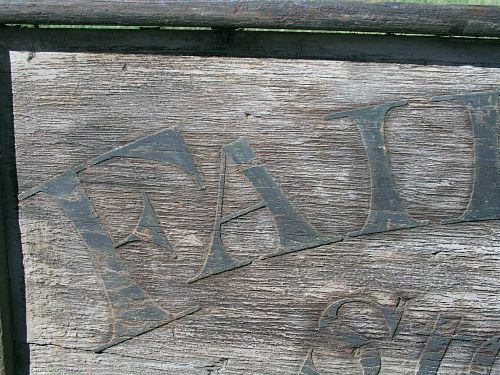 All original with Square nail construction. Dimensions: 18 1/2" X 48 1/2"